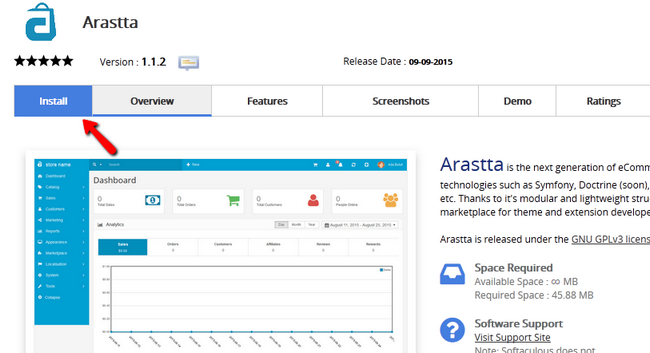 As of September 21st 2015 Arastta is officially supported by Softaculous. This very quick installation process will help you install multiple versions of Arastta in a few minutes and is the preferred method by newer users. 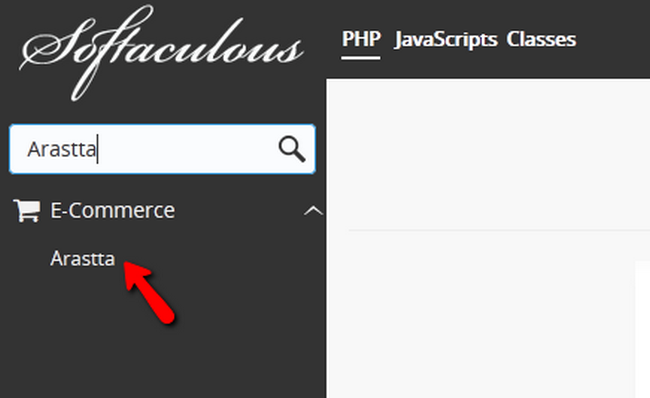 Login to your cPanel and click on the Softaculous Apps Installer icon. Search for Arastta in the search bar menu and then click on the result. Here you can see a summary of the application, features, demo and ratings. Click on the Install tab to get to the install configuration window. Installing an application with the https:// protocol, without having a valid SSL certificate, might affect your website accessibility and/or result in security warnings. If you need a hosting solution with an SSL certificate to secure your store, you may review our SSD Arastta Hosting Plans. Click on the Install button to install Arastta. Once the installation is completed you will receive two links, one for the front-end of your store and one for your back-end (admin dashboard). You can now login in both by using your admin credentials but you will mainly use the admin dashboard when configuring your store. Congratulations, you have successfully installed Arastta.